Another page for my Twilight Scrapbook, another non-digital page. Pictures are from the Borders DVD set. 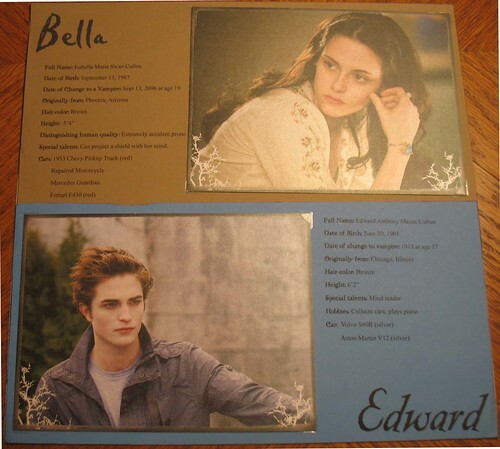 Sorry about the weird color on Bella's photo: these pictures are slightly ... glittery? ... and reflect the light in weird ways. Their basic information is taken from Twilight Lexicon.